Plastic hose piece with water stop and flexible hose nozzle against kinking of the hose. 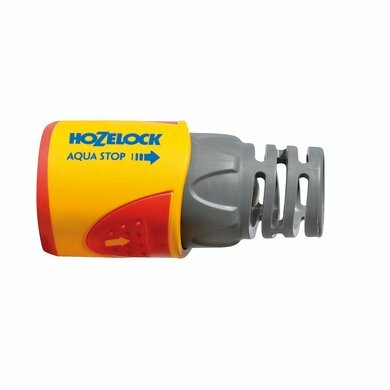 The built-in water stop ensures that the water supply is interrupted drip-free when the hose piece is disconnected from the tap or spray tool. 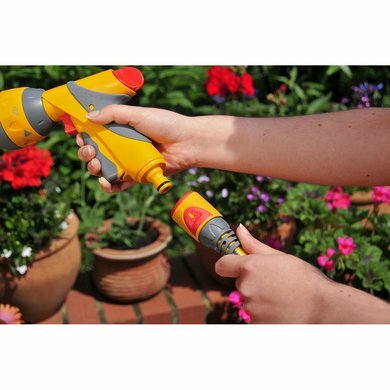 This hose piece has a soft touch coating so you can also attach or disconnect the coupling with wet hands. Suitable for hoses of Ø 12.5 and Ø 15 mm diameter. "Click with all common brands"
Strong, fits almost all hoses of this size!